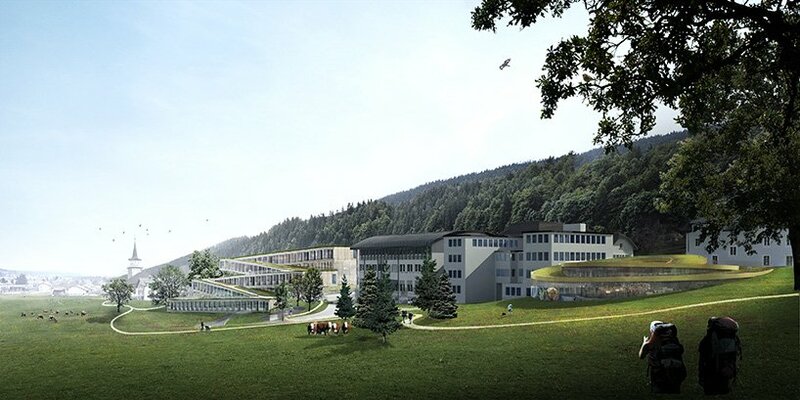 The BIG-Bjarke Ingels Group have revealed their plans for the new Audemars Piguet Hôtel des Horlogers. 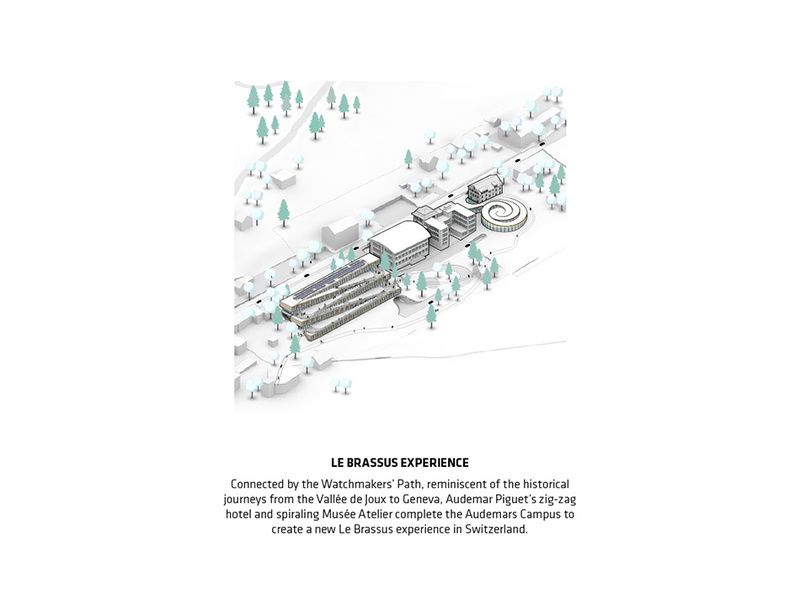 Created in collaboration with CCHE Architecture, it will be situated at Le Brassus in the Valle de Joux and connected to the Musée Atelier also being designed by BIG-Bjarke Ingels. Audemars Piguet’s new hotel will be 6,400 sq m (68,899 sq ft) and contain five major sections, including fifty rooms, a spa, bar, two restaurants, and a conference centre, with a single corridor stacked in slabs. 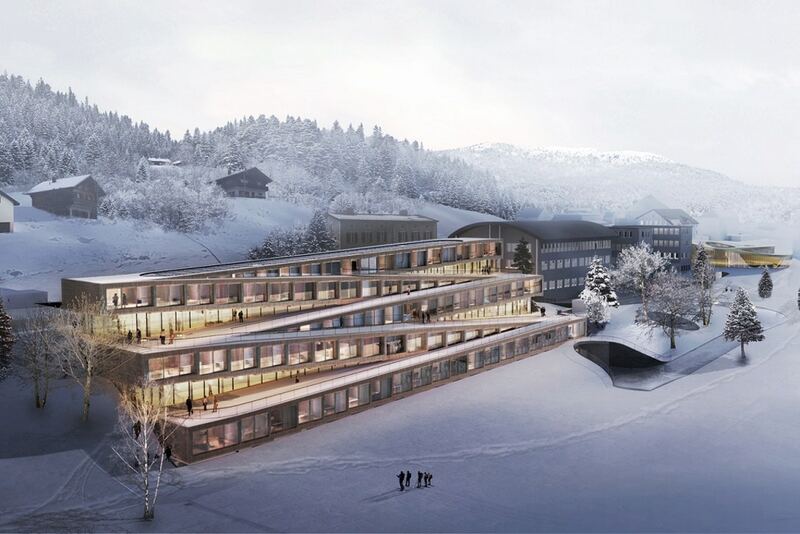 With a design intended to make it part of the Vallée, most noticeably in winter, it features five large zig zagging internal corridors which contain and connect the guest rooms but which, externally, act as terraces and provide an exterior on which guests can ski from the hotel and access the surrounding slopes. The hotel’s facilities and public areas will be positioned beneath these inclined slabs. Now under construction, the Audemars Piguet Hôtel des Horlogers will open to the public in 2020.